If webcasts are a whole new frontier for you, there’s a chance you’re feeling overwhelmed with the details. What should my webcast focus on? Who should my presenters be? Do I have enough time to put everything together? How should I market it? Will it drive the lead volume I’m looking for? Download this free guide to experience less stress, more audience engagement and better webcasting ROI. 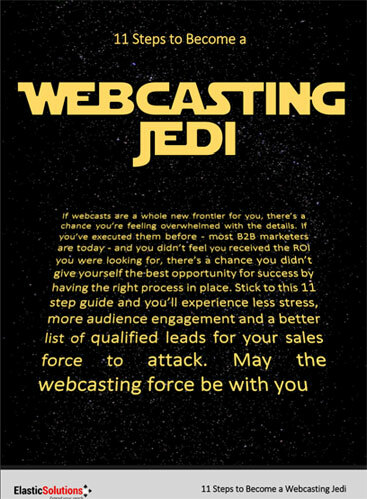 May the webcasting force be with you.